Gifu Castle has long been associated with the Sengoku, or warring States period, and has long been a symbol of Gifu City. 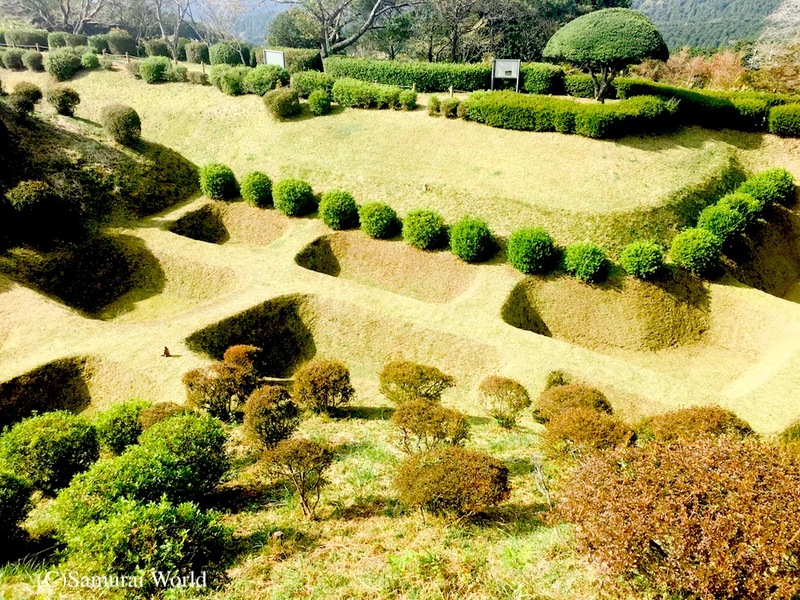 Originally known as Inabayama Castle, it was first built by the Nikaido clan around 1201. 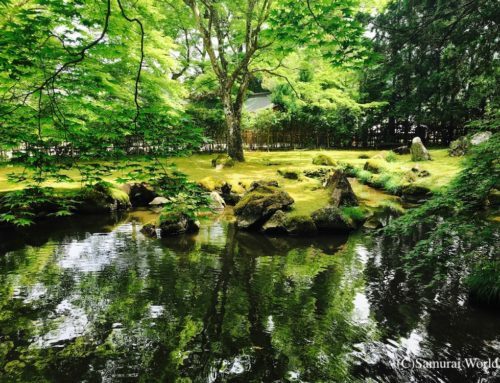 Over the last 800 years it has been enlarged and strengthened by daimyo such as the Saito clan of Mino, and the Oda clan of Owari. The former Mt. Inaba, now known as Mt. 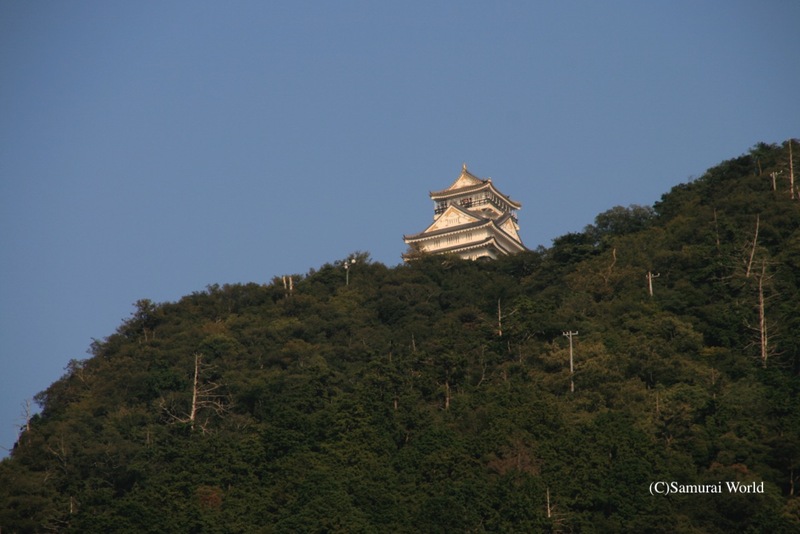 Kinka, stands an impressive 329m high, and sports the current keep-like tower at the top. 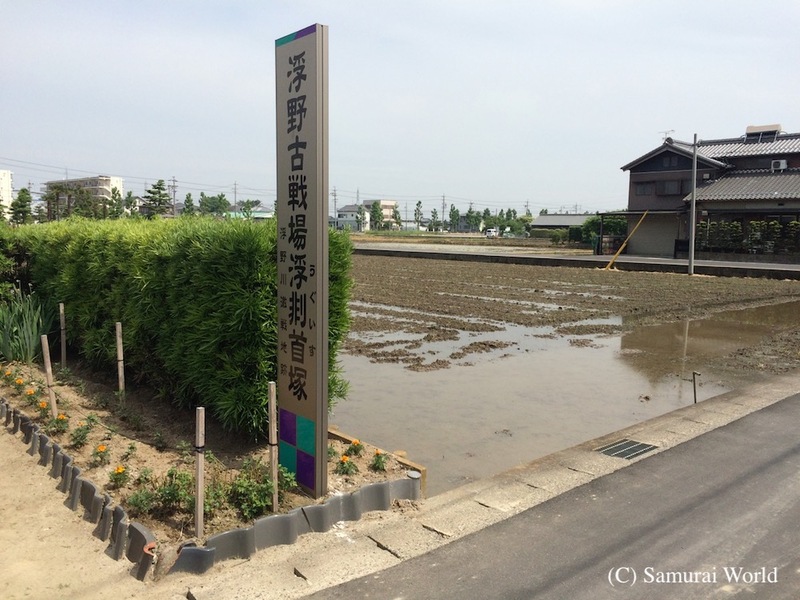 Below the castle flows the mighty Nagara River, acting as a natural moat. 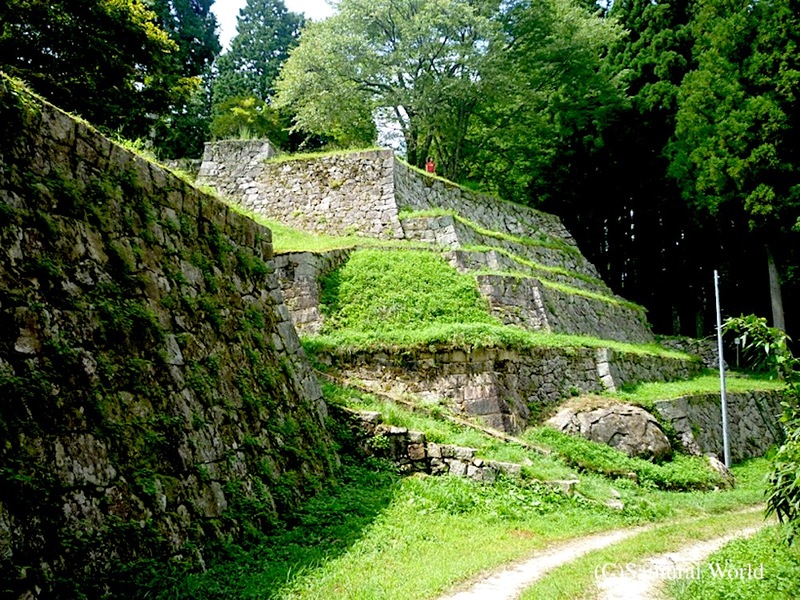 Gifu Castle was mostly destroyed in the lead up to the Battle of Sekigahara in 1600. 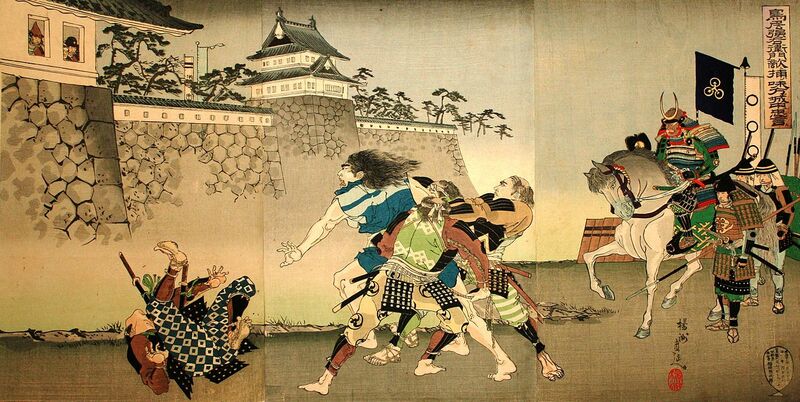 Despite its reputation as a strong, impenetrable castle, it was once taken by a small band of just sixteen samurai! 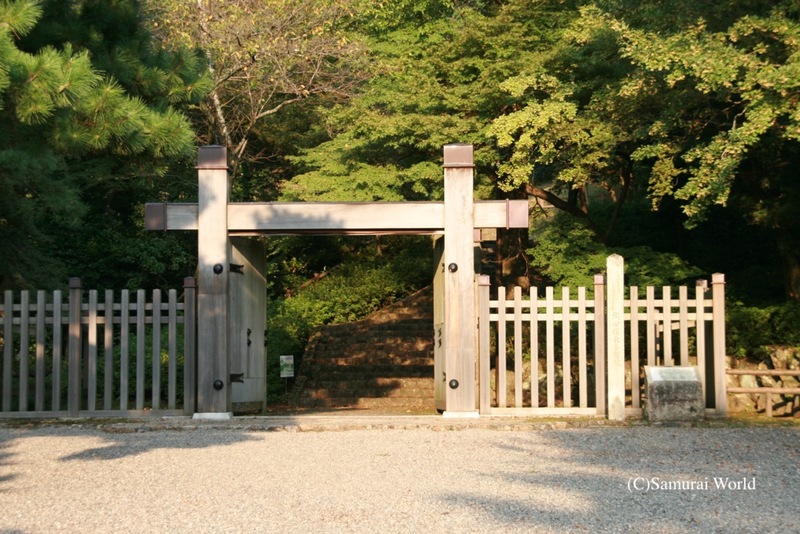 some time later, Hanbei entered the castle with his band of 16 on the pretext of visiting his sick brother, however used the entrance to make a faux attempt on the life of Saito Tatsuoki. 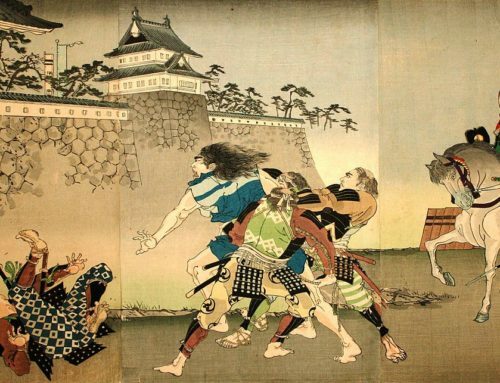 The confused Tatsuoki, thinking an army of attackers had entered the castle, fled for his life, abandoning the castle and his men. Hanbei took the castle easily, Having heard of the coup, Oda Nobunaga then requested Hanbei give the castle to him, however Hanbei refused, instead returning the property to Tatsuoki, and then left the service of the Saito clan. The greatly embarrassed Tatsuoki, who had lost a great deal of reputation and honor from the cowardly retreat would not keep the castle for long. When Oda Nobunaga attacked the castle in 1567, many of the troops under Tatsuoki remembered his cowardice and either fled themselves or defected to the Oda. Having captured Gifu, Nobunaga then relocated his headquarters from Komaki Castle to the centrally located fortress and renamed it “Gifu.” Taking the first character from Qishan, (岐山) the mountain from which ancient China was said to have been unified, and the character “Fu” from the birthplace of Confucious, Qufu, (曲阜) which also means “the base of the mountain”. 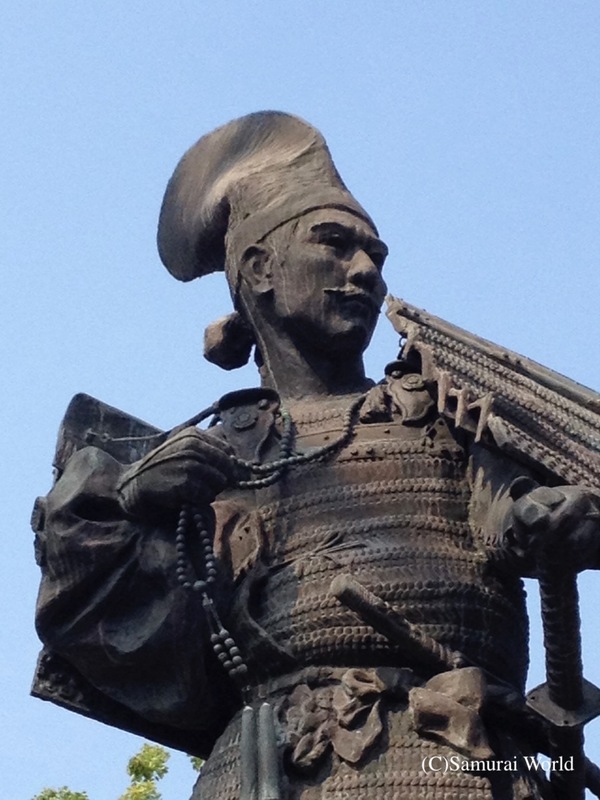 Nobunaga rebuilt the castle making it even more impressive in his effort to unify and control Japan. 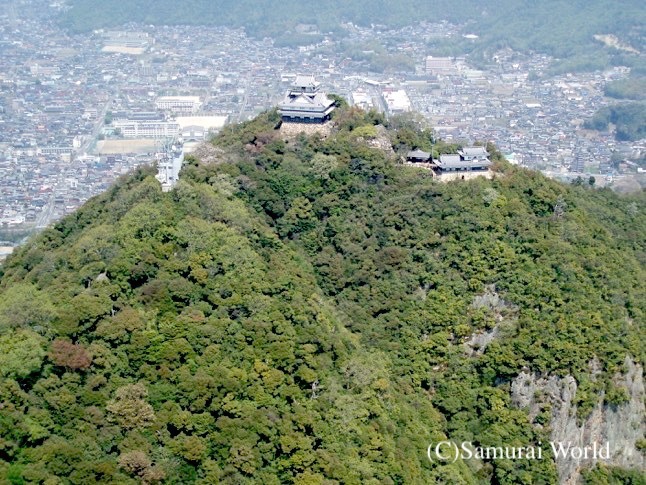 Although the keep at the top of the mountain, now represents the castle, it was merely a watchtower from which to view the surrounding Nobi Plain, and a showpiece, a visible reminder to all for miles around of the might of the ruling daimyo. The actual main castle area itself sat in at the base of the mountain. There, Nobunaga built a magnificent golden palace four stories high, with over 20 rooms, and surrounded by four or five splendid gardens. It was said to be the biggest non-Buddhist structure in the nation at the time, and restoration work is currently being considered. The castle keep is known as tenshu in Japanese. 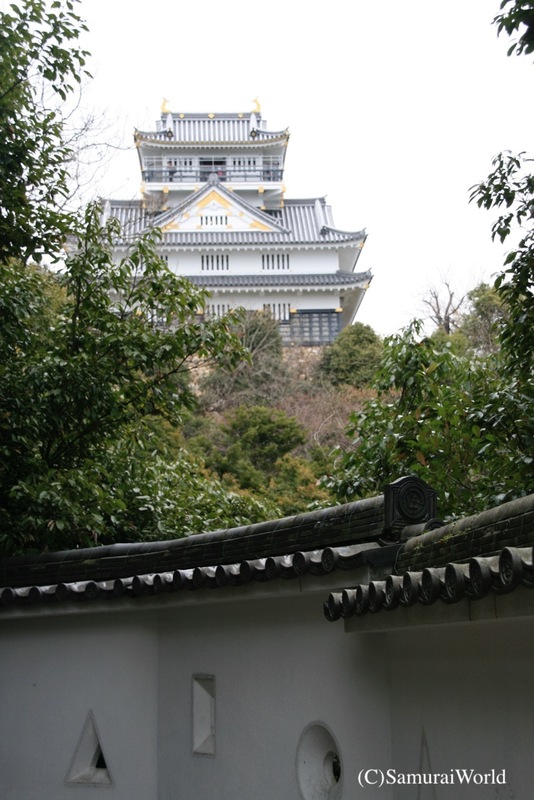 In the case of Gifu, Nobunaga titled his four story “Tenshu”, making Gifu Castle the first castle to have a tenshu. 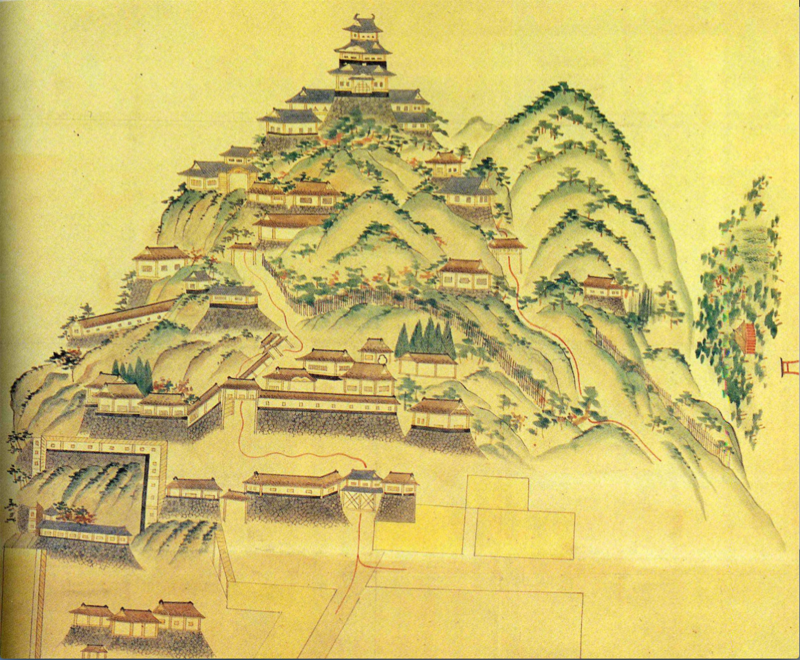 Interestingly, while most traditional yamajiro, mountain castles of the period had the lord’s living quarters and audience chambers in palaces at the foot of the mountain, and the defensive structures at the top as a position of last resort, Nobunaga had living and audience chambers at a number of positions around Gifu Castle. 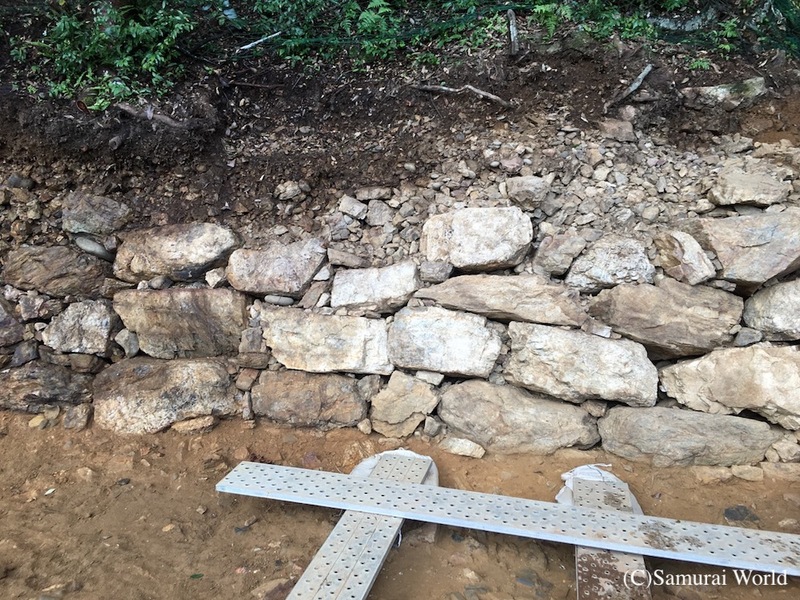 Some were positioned at the base of the mountain, while another was constructed half way up the mountain, and yet another is believed to have stood at the top. Depending on his mood, and who he would be meeting with, Nobunaga either came down to greet them, or allowed them to come up to see him. Gifu and its castle became well known throughout Europe following comments written by Portuguese Jesuit Missionary, Fr. Louis Frois, who befriended Oda Nobunaga in 1569, even staying in the lord’s personal residence in Gifu while working on a series of manuscripts that would become books on Japanese history and culture. Frois wrote glowingly of Gifu, describing it as a “Rich center of trade and commerce,” and a “bustling Babylon”. He was apparently suitably impressed by the castle, too! Gifu Castle was mostly destroyed in one of the many inflammatory lead up battles culminating in the Battle of Sekigahara in late 1600. 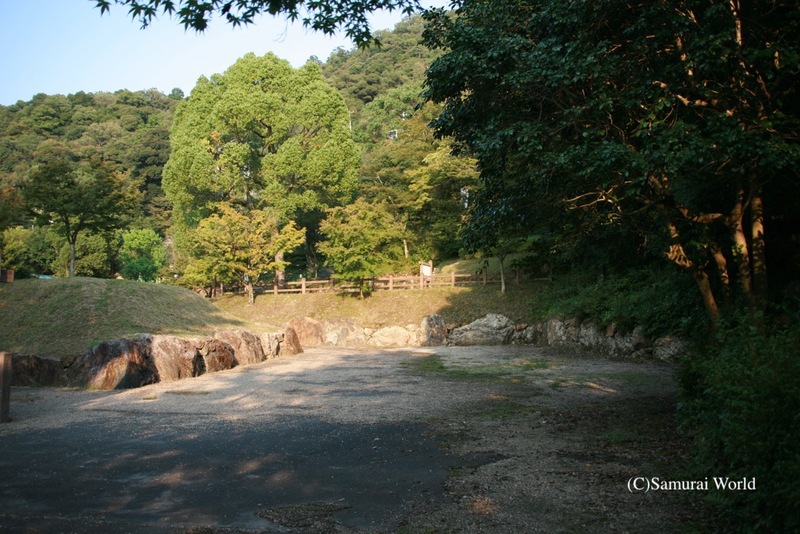 The castle, held at the time by Nobunaga’s grandson, Oda Hidenobu, was attacked by Tokugawa adherents, Fukushima Masanori and Ikeda Terumasa and greatly damaged in the Battle of Gifu. 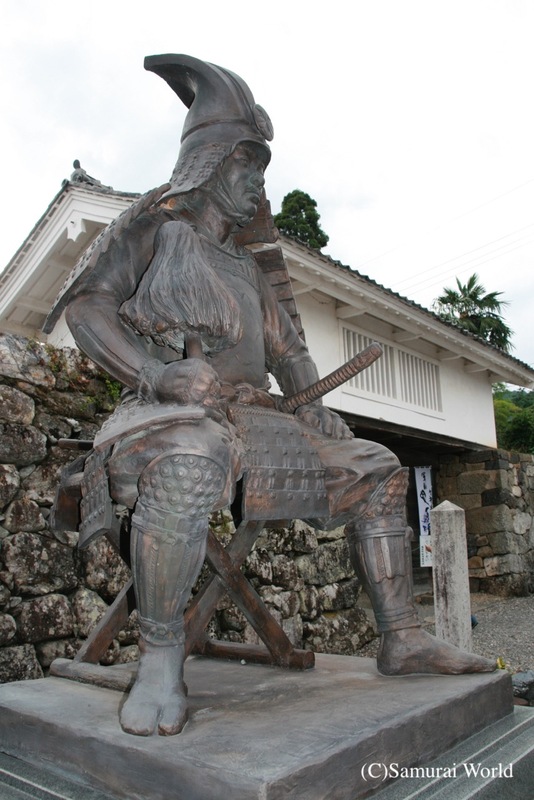 In 1601, Tokugawa Ieyasu ordered the destruction of the remaining structures of Gifu Castle. 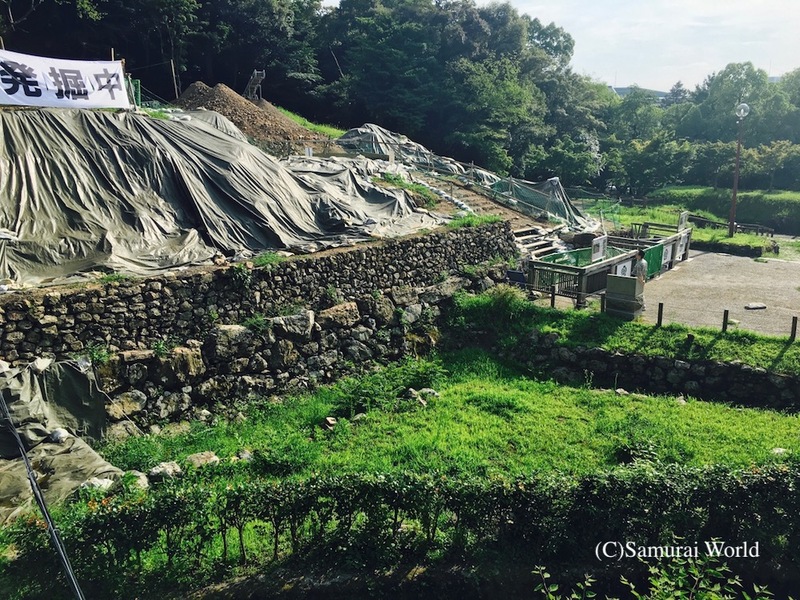 It is said that Ieyasu had the castle razed so as to dissuade any one from attempting follow the Oda and rise up against the Tokugawa. 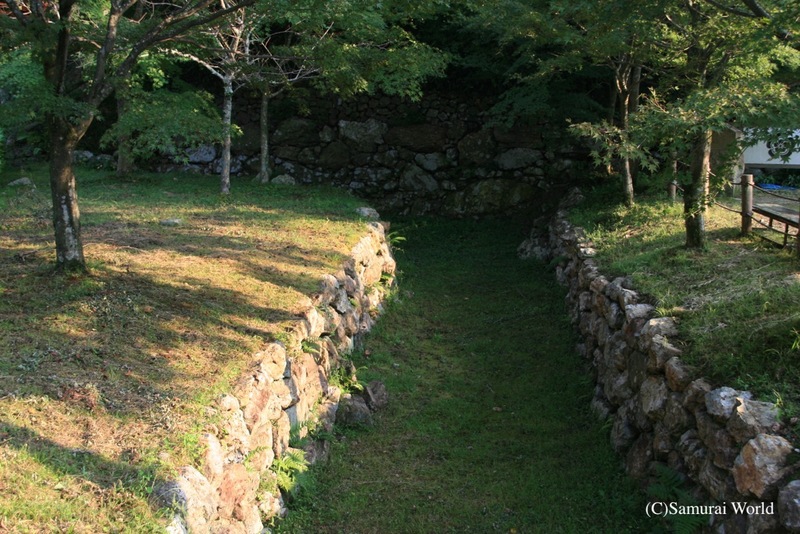 Some parts of Gifu Castle were re-used in the building of nearby Kano Castle, and the area was then made off limits to all until the end of the Edo period. The castle keep was rebuilt in 1910, but was destroyed by fire in 1943. The current keep, made of concrete, dates from 1956 and acts as a museum, displaying Oda Nobunaga and samurai related artifacts, including suits of armour and weapons. The former palace and gardens at the foot of the mountain is undergoing continual research. 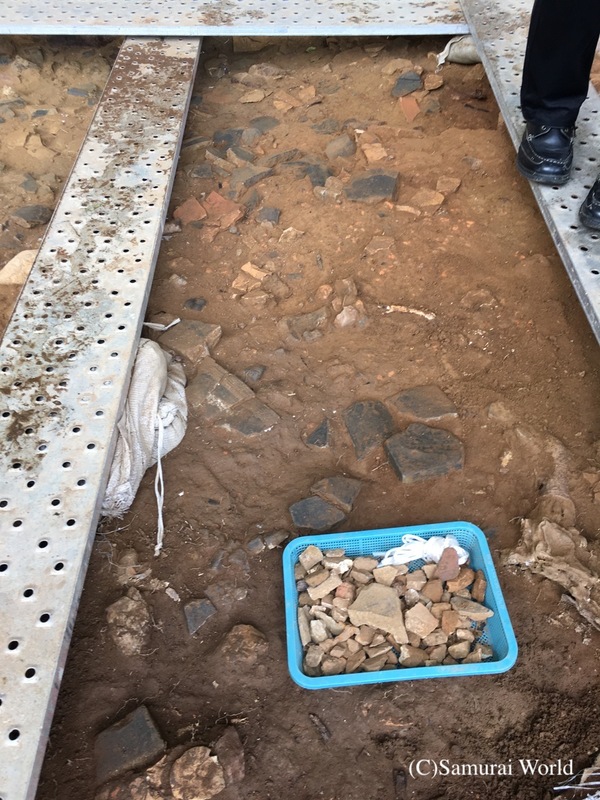 As interest in the castle increases, further restoration work, and research is being done on Gifu castle, with recent new discoveries of stone walls and unknown gateways, allowing us to understand more of Oda Nobunaga’s castle planning and construction techniques. Location：18 Tenshukaku, Kinkazan, Gifu City, Gifu Prefecture. 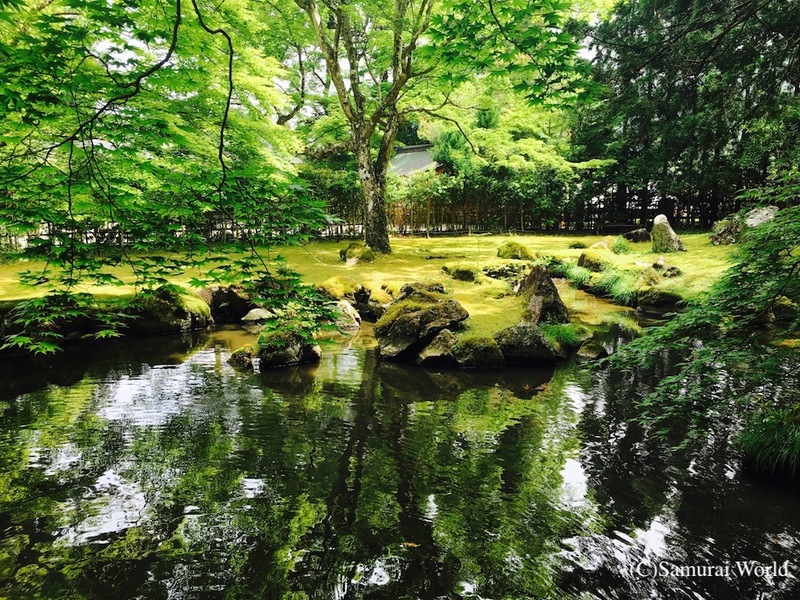 → 3 minutes walk to the ropeway station→ (4 minutes ride) → 8 minutes walk to the castle.